A grieving woman experiences supernatural occurrences when she moves back into her childhood home. The Covenant is a film that falls under the never-ending category of possession horror films, and is directed by Robert Conway, co-writing with one of the lead actors, Owen Conway. The film follows Sarah Doyle (Monica Engesser), a woman troubled after losing both her child to Leukaemia and her husband, who shortly followed by committing suicide. Sarah can’t come to terms with her grief and decides to move in to her childhood home with her recovering alcoholic brother Richard (Conway). Sarah begins to experience supernatural occurrences in the house, which has never been before haunted, so of course, Richard hires a priest to sort the problem out. It’s quite difficult for this genre of horror to surprise anybody anymore. It’s very rare that I will see a supernatural/demonic horror film that I enjoy, as I do find that they are mostly all recycled versions of each other – and The Covenant isn’t any better. I would even argue that it is in fact, worse. Yes, the film has a low budget and I applaud the filmmakers on even making a film on its budget, as that is a challenge in itself. I treat all films equally and I won’t excuse the quality of the film because of the budget, because let’s face it there have been plenty of films with a low budget that have shown originality and quality, which The Covenant unfortunately does lack, I’m afraid. There just isn’t any liveliness in this film. The characters are one dimensional and dull, and although the acting is absolutely fine (in fact it's not bad at all), it just doesn’t make up for the writing. Along the same lines, the plot is also very dull and predictable; it has all the same components of any other possession horror, and so there’s nothing to set it aside from the others, and nothing for me to remember it by. Technically, there’s nothing wrong with the film; it's shot well, the special effects are not bad at all, and like I mentioned, the acting is good, but it’s just not enough for me to give the film a better review – what I look for in horror is something different, and The Covenant is forgettable. 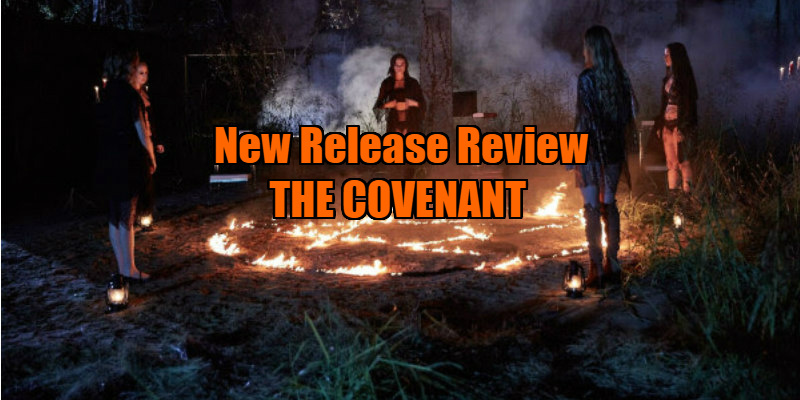 The Covenant is available on VOD February 7th.